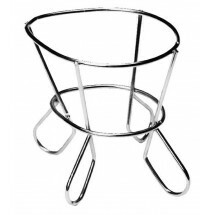 A chrome plated ham holder is an attractive, easy to handle, and inexpensive way to serve ham in restaurants and catered events. 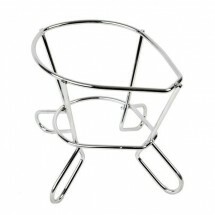 The design of these ham holders enables the ham to be sliced in such a fashion that the juicy parts retain their shape and form, so they present as good as they taste. 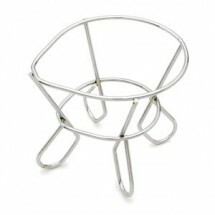 Simple to use yet highly practical, ham holders can revolutionize the way ham is served in your restaurant.